I’m a huge fan of building microservices with serverless systems. Serverless gives us the power to focus on just the code and our data without worrying about the maintenance and configuration of the underlying compute resources. Cloud providers (like AWS), also give us a huge number of managed services that we can stitch together to create incredibly powerful, and massively scalable serverless microservices. I’ve read a lot of posts that mention serverless microservices, but they often don’t go into much detail. I feel like that can leave people confused and make it harder for them to implement their own solutions. Since I work with serverless microservices all the time, I figured I’d compile a list of design patterns and how to implement them in AWS. I came up with 19 of them, though I’m sure there are plenty more. In this post we’ll look at all 19 in detail so that you can use them as templates to start designing your own serverless microservices. Services can be invoked by other services and must wait for a reply. This is considered a blocking request, because the invoking service cannot finish executing until a response is received. This is a non-blocking request. A service can invoke (or trigger) another service directly or it can use another type of communication channel to queue information. The service typically only needs to wait for confirmation (ack) that the request was sent. Great! Now that we’re clear on that, let’s jump right in. The following 19 patterns represent several common microservice designs that are being used by developers on AWS. The vast majority of these I’ve used in production, but they all are valid ways (IMO) to build serverless microservices. Some of these have legitimate names that people have coined over the years. If the pattern was highly familiar, and I knew the name, I used the actual name. In many of these cases, however, I had to have a little fun making them up. For clarity and consistency, the diagrams below all use the same symbols to represent communication between components. A large black arrow represents an asynchronous request. The two smaller black arrows represents a synchronous request. Red arrows indicate errors. Enjoy! This is the most basic of patterns you’re likely to see with serverless applications. The Simple Web Service fronts a Lambda function with an API Gateway. I’ve shown DynamoDB as the database here because it scales nicely with the high concurrency capabilities of Lambda. If you’re building a webhook, the traffic can often be unpredictable. This is fine for Lambda, but if you’re using a “less-scalable” backend like RDS, you might just run into some bottlenecks. There are ways to manage this, but now that Lambda supports SQS triggers, we can throttle our workloads by queuing the requests and then using a throttled (low concurrency) Lambda function to work through our queue. Under most circumstances, your throughput should be near real time. If there is some heavy load for a period of time, you might experience some small delays as the throttled Lambda chews through the messages. Be sure to handle your own Dead Letter Queues (DLQs) for bad messages when you use SQS triggers with throttled Lambdas. Otherwise the throttling may cause redrive policies to prematurely DLQ a message. SQS triggers for Lambda functions now work correctly with throttling, so it is no longer necessary to manage your own redrive policy. This is a variation on the Simple Web Service pattern. Using API Gateway’s “Lambda Authorizers”, you can connect a Lambda function that processes the Authorization header and returns an IAM policy. API Gateway then uses that policy to determine if it is valid for the resource and either routes the request, or rejects it. API Gateway caches the IAM policy for a period of time, so you could also classify this as the “Valet Key” pattern. As I point out in the diagram below, Lambda Authorizers are microservices in their own right. Your “Authorization Service” could have multiple interfaces into it to add/remove users, update permissions, and so forth. The Internal API pattern is essentially a web service without an API Gateway frontend. 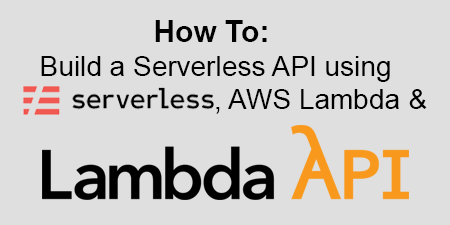 If you are building a microservice that only needs to be accessed from within your AWS infrastructure, you can use the AWS SDK and access Lambda’s HTTP API directly. If you use an InvocationType of RequestResponse, then a synchronous request will be sent to the destination Lambda function and the calling script (or function) will wait for a response. Some people say that functions calling other functions is an anti-pattern, but I disagree. HTTP calls from within microservices are a standard (and often necessary) practice. Whether you’re calling DynamoDB (http-based), an external API (http-based) or another internal microservice (http-based), your service will most likely have to wait for HTTP response data to achieve its directive. Like the Internal API, the Internal Handoff pattern uses the AWS SDK to access Lambda’s HTTP API. However, in this scenario we’re using an InvocationType of Event, which disconnects as soon as we get an ack indicating the request was successfully submitted. The Lambda function is now receiving an asynchronous event, so it will automatically utilize the built-in retry mechanism. This means two things, 1) it is possible for the event to be processed more than once, so we should be sure that our events are idempotent. And 2) Since we disconnected from our calling function, we need to be sure to capture failures so that we can analyze and potentially replay them. Attaching a Dead Letter Queue (DLQ) to asynchronous Lambda functions is always a good idea. I like to use an SQS Queue and monitor the queue size with CloudWatch Metrics. That way I can get an alert if the failure queue reaches a certain threshold. Speaking of internal API calls, the Aggregator is another common microservice pattern. The Lambda function in the diagram below makes three synchronous calls to three separate microservices. We would assume that each microservice would be using something like the Internal API pattern and would return data to the caller. The microservices below could also be external services, like third-party APIs. The Lambda function then aggregates all the responses and returns a combined response to the client on the other side of the API Gateway. I’ve had this debate with many people, but I consider an SNS topic (Simple Notification Service) to be its own microservice pattern. A important attribute of microservices is to have a “well-defined API” in order for other services and systems to communicate with them. SNS (and for that matter, SQS and Kinesis) have standardized APIs accessible through the AWS SDK. If the microservice is for internal use, a standalone SNS topic makes for an extremely useful microservice. For example, if you have multiple billing services (e.g. one for products, one for subscriptions, and one for services), then it’s highly likely that several services need to be notified when a new billing record is generated. The aforementioned services can post an event to the “Billing Notifier” service that then distributes the event to subscribed services. We want to keep our microservices decoupled, so dependent services (like an invoicing service, a payment processing service, etc.) are responsible for subscribing to the “Billing Notifier” service on their own. As new services are added that need this data, they can subscribe as well. Let’s get a little more complex. SQS trigger support for Lambda is awesome, but unfortunately it doesn’t work with FIFO (first in, first out) SQS queues. This makes sense, since the triggers are meant to process messages in parallel, not one at a time. However, we can build a completely serverless FIFO consumer with a little help from CloudWatch Rules and the Lambda concurrency settings. In the diagram below we have a client that is sending messages to a FIFO queue. Since we can’t trigger our consumer automatically, we add a CloudWatch Rule (aka crontab) that invokes our function (asynchronously) ever minute. We set our Lambda function’s concurrency to 1 so that we aren’t attempting to run competing requests in parallel. The function polls the queue for (up to 10) ordered messages and does whatever processing it needs to do, e.g. write to a DynamoDB table. Once we’ve completed our processing, the function removes the messages from the queue, and then invokes itself again (asynchronously) using the AWS SDK to access the Lambda HTTP API with the Event invocation type. This process will repeat until all the items have been removed from the queue. Yes, this has a cascading effect, and I’m not a huge fan of using this for any other purpose, but it does work really well in this scenario. If the Lambda function is busy processing a set of messages, the CloudWatch Rule will fail because of the Lambda concurrency setting. If the self-invocation is blocked for any reason, the retry will continue the cascade. Worst case scenario, the processing stops and is then started again by the CloudWatch rule. If the message is bad or causes a processing error, be sure to dump it into a Dead Letter Queue for further inspection and the ability to replay it. Another somewhat complex pattern is the continuous stream processor. This is very useful for capturing clickstreams, IoT data, etc. In the scenario below, I’m using API Gateway as a Kinesis proxy. This uses the “AWS Service” integration type that API Gateway provides (learn more here). You could use any number of services to pipe data to a Kinesis stream, so this is just one example. Kinesis will distribute data to however many shards we’ve configured and then we can use Kinesis Firehose to aggregate the data to S3 and bulk load it into Redshift. There are other ways to accomplish this, but surprisingly, this will end up being cheaper when you get to higher levels of scale (vs SNS for example). The Strangler is another popular pattern that let’s you incrementally replace pieces of an application with new or updated services. Typically you would create some sort of a “Strangler Facade” to route your requests, but API Gateway can actually do this for us using “AWS Service” and “HTTP” integration types. For example, an existing API (front-ended by an Elastic Load Balancer) can be routed through API Gateway using an “HTTP” integration. You can have all requests default to your legacy API, and then direct specific routes to new serverless service as you add them. It is often the case that Serverless architectures will need to provide some sort of orchestration. AWS Step Functions are, without a doubt, the best way to handle orchestration within your AWS serverless applications. If you’re unfamiliar with Step functions, check out these two sample projects in the AWS docs. State Machines are great for coordinating several tasks and ensuring that they properly complete by implementing retries, wait timers, and rollbacks. However, they are exclusively asynchronous, which means you can’t wait for the result of a Step Function and then respond back to a synchronous request. AWS advocates using Step Functions for orchestrating entire workflows, i.e. coordinating multiple microservices. I think this works for certain asynchronous patterns, but it will definitely not work for services that need to provide a synchronous response to clients. I personally like to encapsulate step functions within a microservice, reducing code complexity and adding resiliency, but still keeping my services decoupled. The State Machine pattern is powerful because it provides us with simple tools to manage complexity, parallelism, error handling and more. However, Step Functions are not free and you’re likely to rack up some huge bills if you use them for everything. For less complex orchestrations where we’re less concerned about state transitions, we can handle them using the Router pattern. In the example below, an asynchronous call to a Lambda function is determining which task type should be used to process the request. This is essentially a glorified switch statement, but it could also add some additional context and data enrichment if need be. Note that the main Lambda function is only invoking one of the three possible tasks here. As I mentioned before, asynchronous Lambdas should have a DLQ to catch failed invocations for replays, including the three “Task Type” Lambdas below. The tasks then do their jobs (whatever that may be). Here we’re simply writing to DynamoDB tables. The Router pattern works great when clients don’t know how to split the requests across separate endpoints. However, often the client will know how to do this, like in the case of a REST API. Using API Gateway, and its ability to route requests based on methods and endpoints, we can let the client decide which “backend” service it wants to interact with. The example below uses a synchronous request from a client, but this would be just as effective for asynchronous requests as well. While this is somewhat similar to the Simple Web Service pattern, I consider this the Robust API pattern since we are adding more complexity by interacting with additional services within our overall application. It’s possible, as illustrated below, that several functions may share the same datasource, functions could make asynchronous calls to other services, and functions could make synchronous calls to other services or external APIs and require a response. Also important to note, if we build services using the Internal API pattern, we can frontend them using API Gateway if we ever want to expose them to the public. We’ve already mentioned SQS Triggers and how they let us throttle requests to “less-scalable” services like RDS. The Frugal Consumer is essentially just the Scalable Webhook pattern without the API Gateway and preprocessing Lambda function. I consider this a separate pattern since it could exist as a standalone service. Like with SNS, SQS has a well-defined API accessible via the AWS SDK. Multiple services could post messages directly to the queue and have the throttled Lambda function process their requests. I hate repeating myself, but be sure to handle your own Dead Letter Queues (DLQs) for bad messages when you use SQS triggers with throttled Lambdas. Otherwise the throttling may cause redrive policies to prematurely DLQ a message. SQS triggers for Lambda functions now work correctly with throttling, so it is no longer necessary to manage your own redrive policy. Just as there are limitations getting data IN to a “less-scalable” service like RDS, there can be limitations to getting data OUT as well. Amazon has done some pretty amazing stuff in this space with Aurora Read Replicas and Aurora Serverless, but unfortunately, hitting the max_connections limit is still very possible, especially with applications with heavy READ requirements. Caching is a tried and true strategy for mitigating READS and could actually be implemented as part of several patterns that I’ve outline in this post. The example below throws an Elasticache cluster (which can handle tens of thousands of connections) in front of our RDS cluster. Key points here are to make sure that TTLs are set appropriately, cache-invalidation is included (maybe as a subscription to another service), and new RDS connections are ONLY made if the data isn’t cached. NOTE: Elasticache doesn’t talk directly to RDS, I was simply trying to make the caching layer clear. The Lambda function would technically need to communicate with both services. This is another great pattern, especially for batch jobs. Lambda functions are limited to 15 minutes of total execution time, so large ETL tasks and other time intensive processes can easily exceed this limitation. To get around this limitation, we can use a single Lambda function to split up our big job into a series of smaller jobs. This can be accomplished by invoking a Lambda “Worker” for each smaller job using the Event type to disconnect the calling function. This is known as “fan-out” since we are distributing the workload. In some cases, fanning-out our job may be all we need to do. However, sometimes we need to aggregate the results of these smaller jobs. Since the Lambda Workers are all detached from our original invocation, we will have to “fan-in” our results to a common repository. This is actually easier than it sounds. Each worker simply needs to write to a DynamoDB table with the main job identifier, their subtask identifier, and the results of their work. Alternatively, each job could write to the same job folder in S3 and the data could be aggregated from there. Don’t forget your Lambda DLQs to catch those failed invocations. Microservice rely on the concept of “eventual consistency” in order to replicate data across other services. The small delay is often imperceptible to end users since replication typically happens very quickly. Think about when you change your Twitter profile picture and it take a few seconds for it to update in the header. The data needs to be replicated and the cache needs to be cleared. Using the same data for different purposes in microservices often means we have to store the same data more than once. In the example below, we are persisting data to a DynamoDB table by calling some endpoint routed to a Lambda function by our API Gateway. For our frontend API purposes, a NoSQL solution works just fine. However, we also want to use a copy of that data with our reporting system and we’ll need to do some joins, making a relational database the better choice. We can set up another Lambda function that subscribes to the DynamoDB table’s Stream which will trigger events whenever data is added or changed. DynamoDB streams work like Kinesis, so batches will be retried over and over again (and stay in order). This means we can throttle our Lambda function to make sure we don’t overwhelm our RDS instance. Make sure you manage your own DLQ to store invalid updates, and be sure to include a last_updated field with every record change. You can use that to limit your SQL query and ensure that you have the latest version. The standalone SNS topic (aka The Notifier pattern) that I mentioned before is extremely powerful given its ability to serve so many masters. However, coupling an SNS topic directly to a microservice has its benefits too. If the topic truly has a single purpose, and only needs to receive messages from within its own microservice, the Distributed Trigger pattern outlined below works really well. We’re using CloudWatch Logs as an example here, but it technically could use any event type that was supported. Events trigger our Lambda function (which has our attached DLQ), and then sends the event to an SNS topic. In the diagram below, I show three microservices with SQS buffers being notified. However, the subscriptions to the SNS topic would be the responsibility of the individual microservices. I saved the best for last! This is one of my favorite patterns since I am often using a number of third-party APIs within my serverless applications. The Circuit Breaker pattern keeps track of the number of failed (or slow) API calls made using some sort of a state machine. For our purposes, we’re using an Elasticache cluster to persist the information (but DynamoDB could also be used if you wanted to avoid VPCs). Here’s how it works. When the number of failures reaches a certain threshold, we “open” the circuit and send errors back to the calling client immediately without even trying to call the API. After a short timeout, we “half open” the circuit, sending just a few requests through to see if the API is finally responding correctly. All other requests receive an error. If the sample requests are successful, we “close” the circuit and start letting all traffic through. However, if some or all of those requests fail, the circuit is opened again, and the process repeats with some algorithm for increasing the timeout between “half open” retry attempts. This is an incredibly powerful (and cost saving) pattern for any type of synchronous request. You are accumulating charges whenever a Lambda function is running and waiting for another task to complete. Allowing your systems to self-identify issues like this, provide incremental backoff, and then self-heal when the service comes back online makes you feel like a superhero! The 19 patterns I’ve identified above should be a good starting point for you when designing your serverless microservices. The best advice I can give you is to think long and hard about what each microservice actually needs to do, what data it needs, and what other services it needs to interact with. It is tempting to build lots of small microservices when you would have been better off with just a few. If your microservice is sharing a database with another service, either separate/replicate the data, or combine the services. If none of those work for you, rethink your strategy and architecture. Microservices (especially serverless ones) should be completely independent and self-contained. It’s fine for them to be dependent on other services or for others to rely on them, but those dependencies should be entirely based on well-defined communication channels between them. Data replication and denormalization are core tenets within microservices architectures. Just because Service A needs some data from Service B, doesn’t mean they should be combined. Data can be interfaced in realtime through synchronous communication if feasible, or it can be replicated across services. Take a deep breath relational database people, this is okay. AWS Lambda bills you for every 100 ms of processing time you use. If you are waiting for other processes to finish, you are paying to have your functions wait. This might be necessary for lots of use cases, but if possible, hand off your tasks and let them run in the background. For more complicated orchestrations, use Step Functions. It’s possible to go too small, but it is also likely that you can go too big. Your “microservices” architecture shouldn’t be a collection of small “monoliths” that handle large application components. It is okay to have a few functions, database tables, and queues as part of a single microservice. If you can limit the size, but still provide sufficient business value, you’re probably where you need to be. Good luck and have fun building your serverless microservices. Are there any patterns you’re using that you’d like to share? Are there legitimate names for some of these patterns instead of the ones I just made up? Leave a comment or connect with me on Twitter to let me know. 🗓 This post was originally published on August 23, 2018 by Jeremy Daly. This is an awesome overview that is also really useful as a reference. Thanks! I have one question about the “The Read Heavy Reporting Engine”. How does Elasticache communicate directly with RDS? I was afraid that one was going to cause confusion. Elasticache doesn’t communicate directly with RDS. The Lambda function technically needs to manage the interaction. With network diagrams, caches are generally put “inline” to make it clear that the interaction must check the cache first, but I think that’s less clear with this case. I’ll update it. Thanks for pointing it out, and I’m glad you find this useful. Thanks, makes sense! AWS supports many different kinds of triggers, so I was thinking that maybe I was unaware of one regarding Elasticache. Thanks for the clarification! Thanks for this article, can’t wait to share this with some peers who are just starting to grasp the power of AWS. This is really interesting. I’m going to try it out! I appreciate your coverage of these design patterns using Lambda. I was locked in from start to finish on this great read. Do you use X-Ray for tracing your Lambda microservice applications or other tools? I do use X-Ray as the baseline for tracing my Lambda functions, but I’ve also been evaluating a few of the new observability platforms out there. I plan on writing about my experiences with them soon. well written. How do we implement circuit-breakers with Lambdas that are called asynchronously? There is no way to directly return error to the client. I guess we would put the requests into some sort of dead letter queue and re-process them manually later. It depends on what you’re doing. If you are calling a Lambda function that then calls another service, then you’re correct. The asynchronous handoff would return successfully and then the processing Lambda function would have to implement the circuit breaker pattern. I think the idea of the DLQ makes sense and is most likely what I would do in that situation. However, if the Lambda you’re calling is just performing an action that doesn’t require an external call, failed invocations will be retried twice (or more if from a queue or SNS topic) automatically. You can assign a DLQ to the function and then process those later. Excellent article. Thank you for all you do. We have a website that we are rewriting using AWS SAM. The front end is Angular 6. This connects to Backend via API Gateway. We probably will end up having around 100 Microservices. Some of the microservices are connected to SQL Server which is EC2 instance. The other services are connected to DynamoDb. We read that AWS has a limit on the number of lambda functions that can run concurrently per account. This is 1000 for our account currently. Even though it is a soft limit it is not indefinite. I am relatively new to the serverless technology. From reading your article, it seems like we can use “Internal API” or Internal Handoff. Also, we could use SQS. Based on your knowledge, what would be the best way to solve this problem? I’m not sure from your question what problem you are trying to solve. The 1,000 concurrent function limit is arbitrary, and can be lifted by contacting AWS support. There is no upper limit to the number of concurrent functions that can run, so I wouldn’t worry about ever maxing that out once you get it removed. As far as the SQL servers are concerned (assuming you are running some sort of cluster), you must have an application ELB as the interface, correct? Your Lambda functions can access that cluster and then return data synchronously (and return data to your API) or asynchronously (process the request without a response). If your SQL databases are dedicated to a specific microservice, then I would suggest that the Lambda function communicate directly. If your microservices are sharing the database, then maybe think about building a data layer (built with Lambda) that would provide an HTTP interface into your SQL server. Please let me know if I misunderstood your question. Hi Jeremy, Our challenge is with the limitation of 1000 concurrent requests. Even if we reach out to AWS, we are not sure how much they would increase the limit. Based on your response, it looks like if we reach out to AWS, they can increase the limit to as much as we want? Yes, reach out to AWS and ask them to raise your limit. Sometimes you need to justify the increase, but if you are truly using more than 1,000 concurrent functions, raising the limit shouldn’t be a problem. Awesome post about serverless patterns Jeremy! Very helpful. Very nice overview. Very helpful, Jeremy!! Such a wonderful article! About 3 years ago, when AWS Lambda released we moved our entire platform (SOA – Java based REST API’s) to serverless, but not exactly “Serverless microservices”(less of lambda to lambda communication). Since then we kept an eye on Serverless mircroservices, now we got go ahead from management team. This article is very timely and represents most of the patterns needed for us. Thanks a ton for that. It would be great if you can share your experience on building microservices orchestration between different Run times(Python, Node and Java). In our experience Java Runtime (AWS Java Lambda functions) are slower to bootstrap than Python and Node and several benchmarks available online. All our API’s written in JAVA, Thinking of migrating to pure Node API (without using any frameworks). It would be great if you can share your experiences in this regard. I’m glad you’ve found the article helpful. 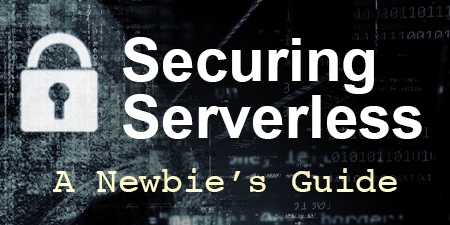 Full disclosure, I’ve never been a fan of Java, and even less so when it comes to serverless. Node and Python are so fast (and lightweight), that the benefit of a compiled language on Lambda is generally outweighed by the additional bootstrapping time. I’ve seen similar performance between Python and Node, and both have active communities developing modules for you to use. I’m more of a Node guy, more so because I like a functional programming approach (which is possible with JS), but also because it seems to be the first language that most cloud providers support in their FaaS offerings. This is also true of Lambda@Edge, which only supports JS at the moment. If you do go down the Node path, take a look at Lambda API (https://github.com/jeremydaly/lambda-api), it’s a package that I wrote as an alternative to web frameworks like Express.js. It is build specifically for Lambda, so it handles all the input/output parsing for you while being ridiculously lightweight. Also, checkout my post An Introduction to Serverless Microservices for some more about orchestration and choreography. Very well written article. Cheers. Couple of observations though. 1. In the The Scalable Webhook pattern I don’t see the need for the lambda behind the API Gateway. If its purpose is to push the message onto SQS then this can be achieved by having SQS as the integration type with API Gateway. The request payload can be directed straight to the queue. 2. I like the Circuit Breaker Pattern but as you mentioned, DynamoDB would fit well in a true serverless environment. As one reader pointed out, with multiple lambda invocations it may prove challenging to put an appropriate algorithm in place to implement what you have suggested. There is an alternative approach which follows the traditional ‘ping’ approach. A dedicated lambda can be put in place that gets triggered by a CW rule in certain intervals to invoke one or more external services just to check their status, latency, etc.. This can then update the status in a DynamoDB table with an entry per service. The service lambda that actually uses the external service will look up the status of its service and take the appropriate action. This could be either return an error or perform in offline mode or other evasive actions as needed. Overall a great write-up. Hope you will keep it updated to incorporate all the new services and features that AWS publishes. You are correct that you could bypass Lambda for the Scalable Webhook pattern. However, if you needed to perform any logic or transformations, the Lambda function would be necessary. As far as the “ping” approach is concerned, that could be a useful pattern. However, you’re now adding the overhead of creating monitoring functions as opposed to building it directly into your logic layer. Concurrent invocations aren’t a huge problem, because last write will always win. If you have 20 concurrent invocations that attempt to call a downed service, they will all attempt to update the datastore to open the circuit. Subsequent requests will be blocked and use whatever failover mode you’ve programmed. If another Lambda is pinging the service (maybe every minute), then you could have hundreds of thousands of calls to the downed system before the circuit was opened. I have several new patterns to add to this after having attended re:Invent, so I will be updating it soon. Thanks for the feedback. Thanks for your response. Yes, good points on the circuit breaker implementation. Looking forward to your new updates. This is a pattern that we implemented recently which is in a way a combination of ‘The Router’ and the ‘Fan Out’ patterns. We call this as the ‘Triager Pattern’! The usercase is that incoming click-stream events need to be triaged and send to multiple event consumers. One consumer may subscribe to multiple event types and in the same way one event type may be destined for multiple consumers. New consumers may get added or dropped off and this shouldn’t affect any of the existing implementation. The way we solved the problem is to maintain a map of event & despatcher lambdas in the Parameter Store. The triager lambda, as it inspects each incoming event, will identify the corresponding despatcher lambda(s) for that event and invokes those lambda(s) passing the event. Each despatcher lambda knows who the consumer is and will have the required details to despatch the events. These consumers could be API Gateway endpoints, monitoring system APIs, S3, etc… In order to add a new consumer or make changes to the event subscription, simply adjust the event/despatcher map in the parameter store and deploy the new lambda(s) as needed. The triager is the main workhorse in the above scenario. Of course we do event batching among other things to make things efficient and optimize the lambda and consumer invocations. Setting the Firehose batch size to 1MB/60 seconds, the above solution is working well and giving near real-time view of things. Interesting approach. Let me think about this a bit more. Amazing article describing all the patterns! 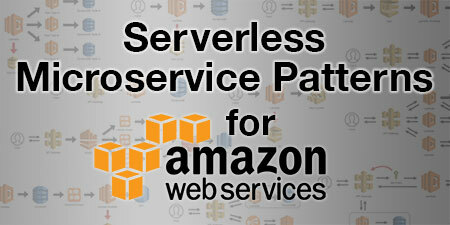 Can’t wait to share it my fellows where we have just started exploring AWS services. Great to meet you at re:Invent! Thanks for sharing this article with me. Really enjoyed it! Thanks, James. It was great to meet you as well. When the game ends, it stores player information (experience, kill / death count, etc.). I also want to read and modify the player information. I want to save it to RDS using API GateWay and Lambda. Which architecture is right for you? If you are using RDS to save information at that scale, you’d be best to use something like the Scalable Webhook pattern. You can queue all your writes and then throttle the Lambda to make sure that you don’t overwhelm the DB. great stuff. Lambda can now run for 15 minutes though, not 5. Amazing article- thanks for sharing. I want a pub sub communication with multiple subscribers but the messages need to be delivered in order. SNS do not support FIFO SQS queues. What are my options. One I can think of is using Kinesis with multiple lambda consumers and each pushing results to FIFO SQS queues. Depending on how many subscribers you need, you could just use Kinesis and let the subscribed Lambdas do the processing. This would allow you to get all your messages in order and just ignore ones you didn’t need. If you NEED to use queues, you could write directly to a single FIFO queue, and then use Lambda to poll and distribute to additional FIFO queues. Interesting use case. I’ll do some more thinking on this. I use ‘The Simple Web Service” architecture, and tested with 100 concurrent users. RDS max-connections was 50. So ‘Too many connections’ error occured. I need JSON response like ‘The Simple Web Service” architecture for API except increasing max-connections. Which architecture should I use? There are two issues here. The first is that Lambda’s concurrency model creates a new instance for each concurrent user, so you’re using up all 50 connections to your database as soon as you get to 50 concurrent users. The second problem is that Lambda will not terminate database connections when the container gets recycled, leaving zombie connections unless you close them manually at the end of each invocation. The first solution is to use something more “serverless”, like DynamoDB. However, if you need to use MySQL, try using my serverless-mysql package (https://github.com/jeremydaly/serverless-mysql) if you’re using Node. If you’re using a different runtime, take a look at the strategies I’m using in the package, and try to implement those. For the FIFOer, do you see any issues with reducing the Cloudwatch rule to run every second instead of every minute? Use case is that the queue will be receiving SaaS subscription information that needs to be processed in near real time and would only populate the queue infrequently. Unfortunately, one minute is the minimum for CloudWatch, so there is no way to set it to every second. If you need something that is more frequent than that, try looking at the pattern I use for Throttling Third-Party API Calls with Lambda. You could use Lambda as a long running orchestrator to accomplish what you’re trying to do, and then use a CloudWatch rule to make sure it continues to run.